Nashville, Tenn. (July 13, 2015) — Since its launch in March, SOZO Playlists has made a big splash in the music streaming world. As a trusted brand offering expertly curated Christian & Gospel playlists across multiple streaming services, more and more listeners are turning to SOZO Playlists to discover music. In a few short months, the platform has gained over 55,000 followers with several top-performing playlists on Spotify. Additionally, SOZO Playlists has the support from many of today’s top Christian & Gospel artists including Lauren Daigle, TobyMac, NF, Britt Nicole, Tasha Cobbs and others. Click here to check out SOZO Playlists on Spotify. 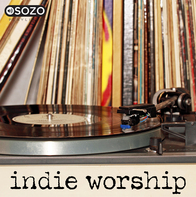 Listeners can also find SOZO Playlists on YouTube, Rdio, GooglePlay Music, Deezer, and Rhapsody. Covering a wide range of Christian & Gospel music including Pop, Worship, Rock, and Hip-Hop/Rap, SOZO Playlists goes beyond the hits with playlists created for many of life’s moments. No matter your age or style of music, there is a SOZO Playlist for you! With weekly updates to their playlists, users always have access to the best new releases. With the recent launch of Apple Music, listeners have more access to stream music than ever before. As a result, SOZO Playlists expects to continue to see rapid growth in the coming months. To stay up-to-date with the latest from SOZO Playlists, sign up for the newsletter here.